Hyperreflexic poorly compliant neurogenic bladders are a threat to the upper tract. These bladders need to be augmented with bowel. A preliminary micturating cystourethrography (MCU), intravenous urogram (IVU), cystometry, cystoscopy, and urine culture are essential. Bowel needs to be prepared well. 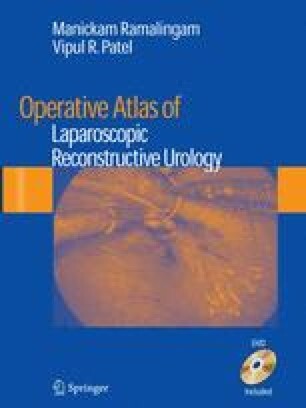 Laparoscopic ileocystoplasty is feasible [1–4].